I have a soft spot for gnomes. 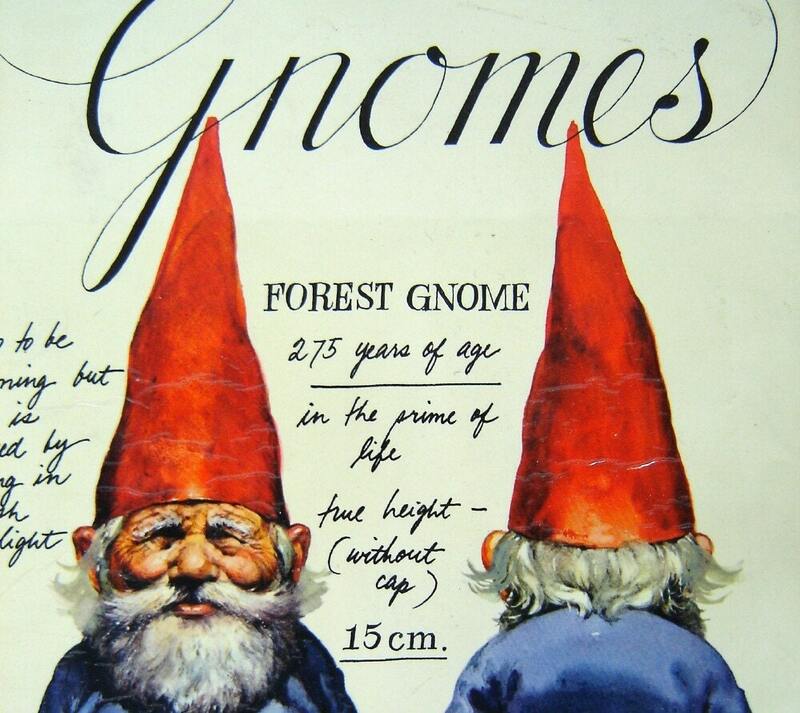 My maternal grandmother gave me Gnomes before she died when I was only three months old. A few years later, I rescued an old weathered garden gnome from my maternal grandfather's house after he died when I was four. It's lived in my parents' backyard ever since. Both make me smile every time I see them. I also love things that are so ridiculously awful that they somehow transcend to the level of amazing. For example, my favorite pair of socks ever are actually worse than the one posted above. They're a lime green monstrosity with two realistically drawn lobsters embroidered in red sparkly thread with a silver shell cracker gracefully embroidered across the toes. Somehow, life is better when you're secretly sporting really tacky socks. So, keep that alllll in mind when I show you this. ROYAL WEDDING GARDEN GNOMES IN HONOR OF WILLIAM AND KATE'S IMPENDING NUPTIALS! I just about fainted when I saw this. It'd be one thing if the pair were just wearing formal attire. 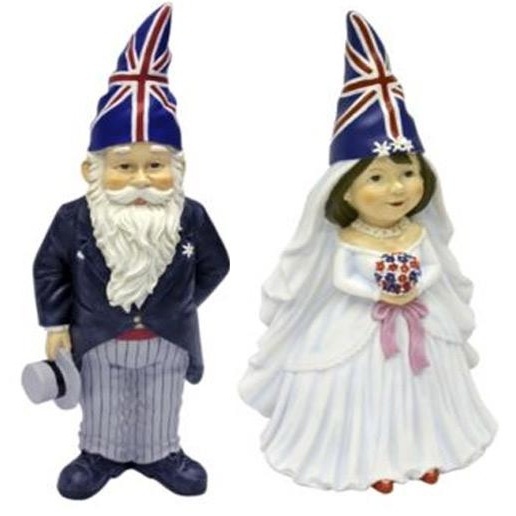 It's brought to a whole new level by tying the gnomes to the royal wedding. But what practically throws the figurines over the top to oh-so-tacky-it's-marvelous are the Union Jack hats. They're hideous and I love them! Oh how I want them. Unfortunately (or probably more like fortunately for everyone in my immediate vicinity), the two are all sold out. Bonus! This has absolutely nothing to do with science fiction or fantasy, but in case you haven't stumbled across this piece of royal wedding swag, you should be aware of its existence. Wow. On all of this. The gnome groom has a gnome hat, even though he is carrying another hat. Because I was taken to see "Gnomeo & Juliet," I know hats are important to gnomes, so this makes sense.